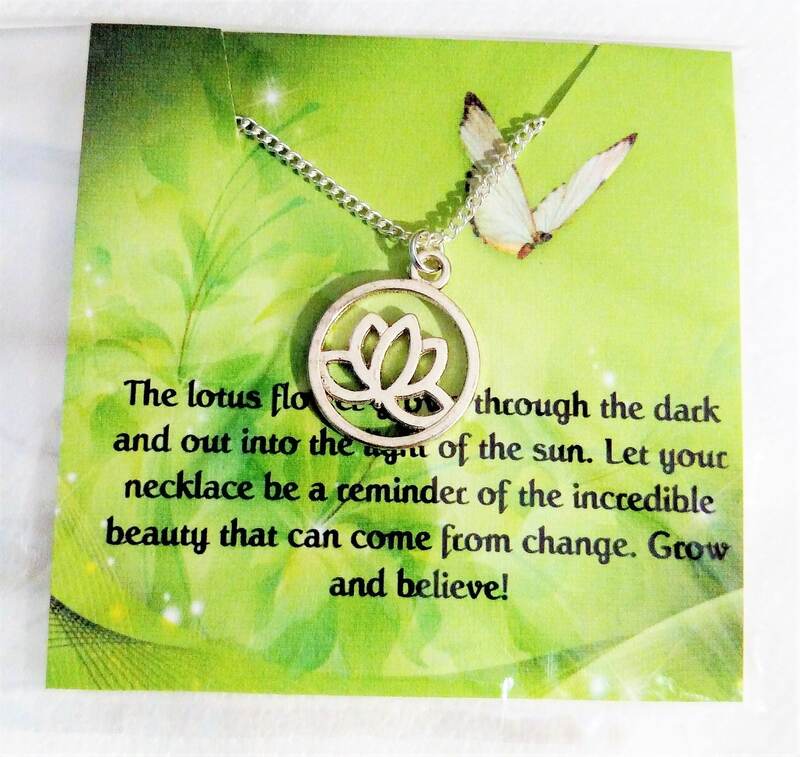 The lotus flower symbolizes rising from a dark place into beauty and rebirth, as this is exactly how a lotus flower grows. 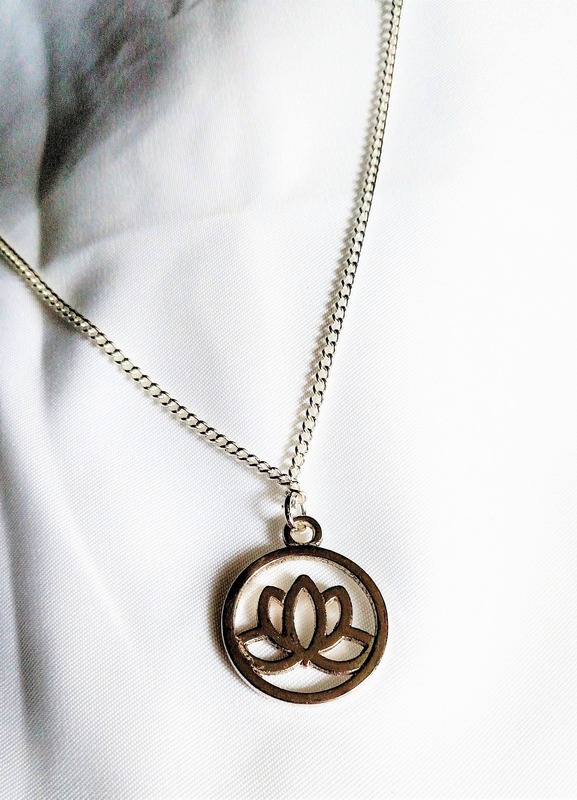 Lotus flowers grow directly out of muddy and murky waters and produce beautiful white and pink blossoms. This is a great reminder that when times are hard and everything seems dark, something beautiful can come out of the darkness. 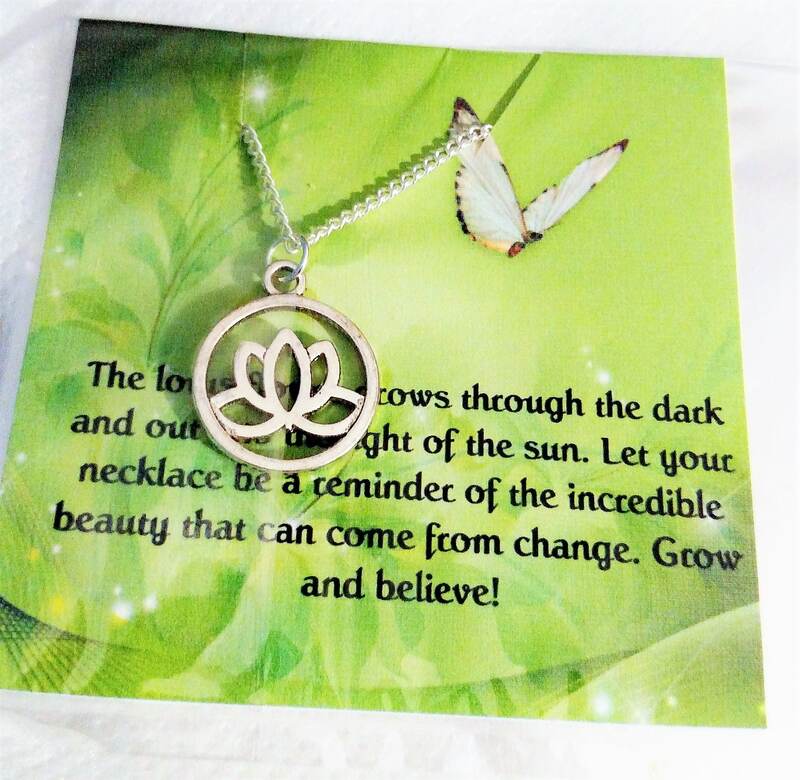 This is a great inspirational gift for a friend or loved one. Also a great gift for yourself!! The chain is 18 inches.